When I am in Japan I spend a lot of time in convenience stores buying everyday supplies, filling in time between meetings, keeping cool and these days drinking their much improved coffee. In the many years I have been visiting the improvement in the design of the home brand products has been huge. While many people think of Muji when they think of Japan I want to give a shout to 7/11 and I. This a series of products under the 'premium' banner, which is now so common in Japan we need a 'super premium'. Simply designed by Kashiwa Sato with a strong graphic identity and product line appropriate colour palette this range of everyday items has a more flexible personality than the now ubquitous Muji products, which you can also find in convenience stores in Japan under the Muji to go banner. 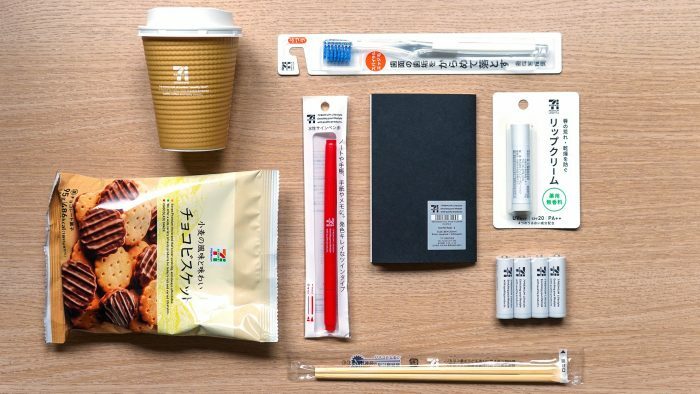 While I love Muji its really nice to see something other than their identity which has dominated the Japanese landscape for over a decade and for me doesn't represent the colour and life that Japan really is. Of course its supposed to be quiet but its become a rather noisy in influence.